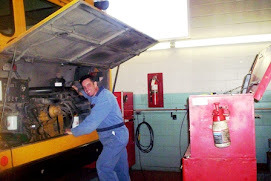 Mechanical Repairs & Troubleshooting On Diesel Engines, School Buses and Related Operating Systems. Welcome to my Mechanics Blog. My name is John Whelan, I've been in the Heavy Duty Trade for 40 years and want to share with you my experiences and tips to help you with mechanical problems or give you a more thorough knowledge of this profession. Feel free to add a comment or question in any one of these posts and I will respond as soon as possible.You can do a search for topics in the top left hand corner of this page. Your Support For This Blog Is Appreciated! Please Check Out My Ads & Affiliate Site Below.